Lead Generation Strategy - ArtC Inc. 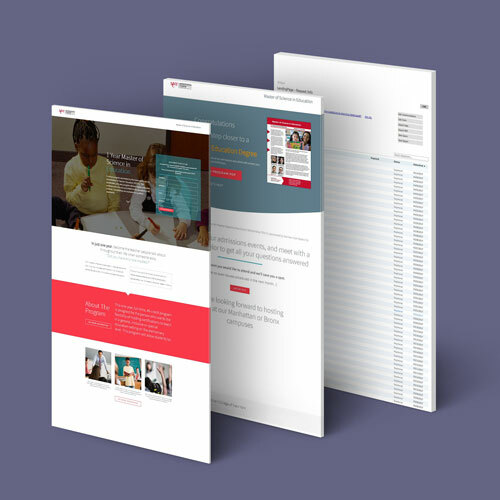 Develop highly optimized lead generation funnel for a higher education institution in New York. The lead generation funnel will be used for paid search advertising, and other promotional efforts. In addition, all the pages need to be integrated with the client’s CRM software, and properly tagged for Facebook marketing, Google Adwords remarketing, conversion tracking, and other digital marketing initiatives. We developed a lead generation funnel with landing pages, conversion pages, and lead magnets that will offer value to prospective inquiries. 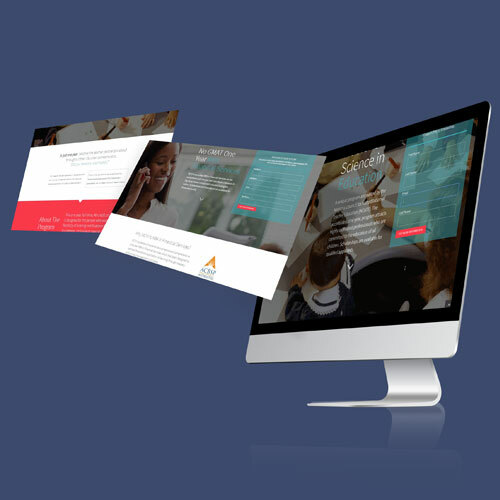 We used a sub-domain structure, to create a micro site with landing pages and conversion pages for each of our client’s programs. 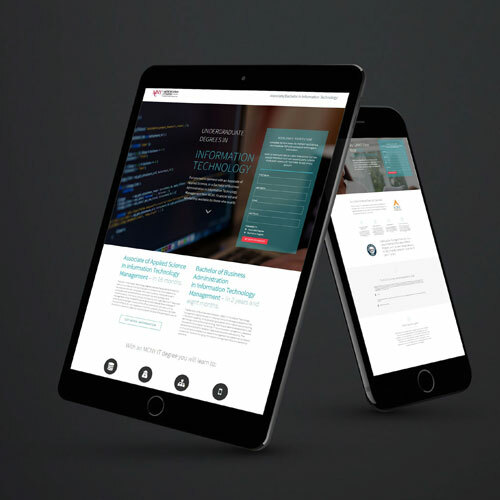 All pages were built with custom CMS development, using WordPress as a base. Separate forms were created in the client’s CRM software to relate to each of the pages, and also allow for additional event registration, once an entry has been submitted.